South Webster’s Braden Bockway stands in at the dish on Monday. 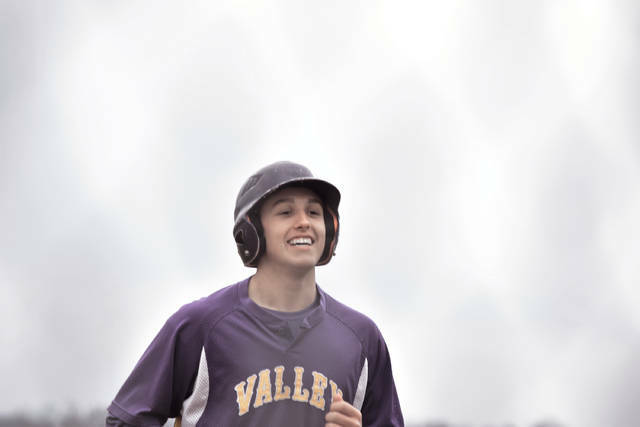 Valley’s Tanner Cunningham smiles after heading toward the dugout in the fourth inning. Cunningham, who went 3-for-5 with a triple, a double, two RBI, and three runs scored, certainly had plenty to smile about on Monday. South Webster’s Billy Jones throws a pitch on Monday evening. Valley’s Jake Ashkettle throws a pitch on Monday. SOUTH WEBSTER — When a unit comes out and performs at the plate from top to bottom, the results usually end up being of the very promising variety. On Monday evening, the Valley Indians’ baseball program did exactly that as Valley, behind seven hits and six RBI in 10 combined appearances at the dish from Jake Ashkettle and Tanner Cunningham, along with 16 hits overall, claimed a season sweep of the South Webster Jeeps’ baseball program by taking home an 18-7 victory on Monday evening in South Webster. For Nolan Crabtree, the performance at the plate was very pleasing to see — and a sign that Valley is continuing to get better in that area. As for Ryan McClintic, his youthful Jeeps are simply going to have to keep plugging away as the days, and games, go by. Valley, who put together its highest run total of the season in the victory, scored in six of the seven innings on Monday and put up multiple runs in five of the seven innings behind the play of Cunningham, who went 3-for-5 with a triple, a double, two RBI and three runs scored and Ashkettle, who went 4-for-5 with four RBI, a stolen base, and two runs scored. Ashkettle’s RBI single to left brought home Cunningham and Jared Morrow to put Valley up 2-0 after the opening half inning after Cunningham reached on an infield single and Morrow walked. However, Cunningham wasn’t done making a statement. After Gabe Ruth notched a leadoff double, Aidan Andrews — the next batter up in the order for South Webster — looked to have an RBI single as Andrews shot a Tucker Williams pitch back up the middle of the diamond. But like it was just a can of corn, Cunningham made sure that Ruth — a speedy and athletic center fielder in his own right — wouldn’t score as the junior threw the ball on a rope to gun the leadoff hitter down at the plate. 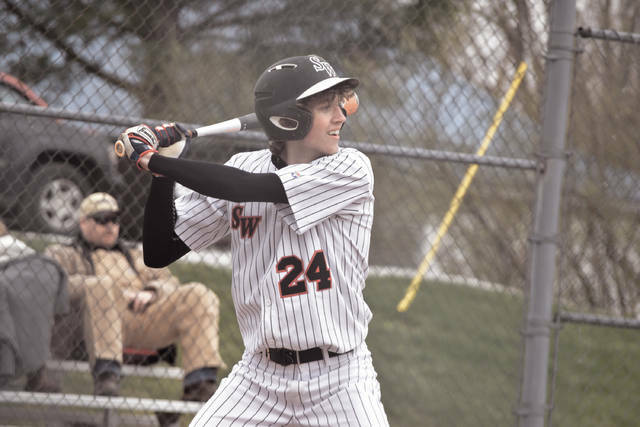 While South Webster still obtained a run via a Braden Bockway sacrifice fly that scored Andrews, McClintic admittedly stated that the dart took the wind out of the Jeeps’ sails. In the second, the Cunningham-Ashkettle duo struck again as back-to-back singles by Cayton Ruby and Blake Wood allowed Cunningham and Ashkettle to come up large. The former launched a two-RBI double to right, and the latter followed with a two-RBI single that landed just inside the foul line in shallow right field as Valley increased its advantage to a 5-1 tally after two innings of work. As the Indians continued to produce up and down the lineup, Williams went to work on the hill. In his first significant mound time in a varsity contest this season, the senior struck out four batters, allowed just three hits, and gave up only a single run in four innings of work. The defense, also, did excellent work throughout the affair. In fact, Valley committed only one error over the entire affair as the Indians made massive strides in that area. 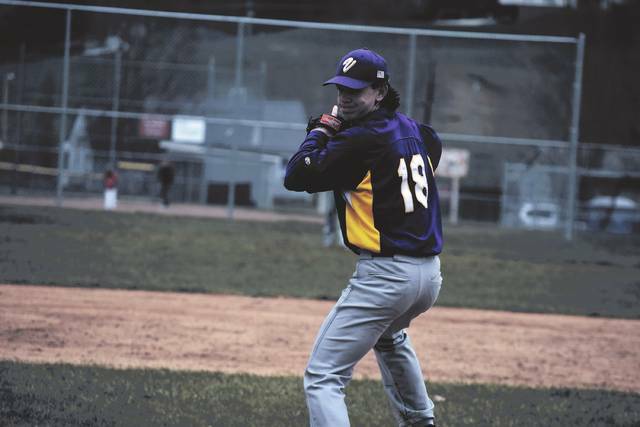 As Williams — and Ashkettle, who came on to pitch the fifth inning for the senior — continued to roll on the mound, Valley continued to extend its advantage. A sacrifice fly RBI by Kayden Mollette that scored Andrew Andronis — who reached via a single in the third inning of action — allowed Valley to extend its lead to a 6-1 margin, and back-to-back-to-back singles from Ashkettle, Jesse Jones, and Andronis, along with an infield error and a fourth single from Cayton Ruby in the eight-hole, allowed Valley to take a 10-1 lead after five innings of work. A walk by Morrow, an RBI double from Ashkettle, and three additional walks from Devon Wiley, Nick Mowery, and Brecken Williams allowed Morrow and Ashkettle to score as Valley took a 12-1 lead after five-and-a-half innings of play. To South Webster’s credit, however, the Jeeps didn’t relent. After an infield single by Bockway that basically served as a bunt, Billy Jones was hit by a pitch and Caleb Cunningham, along with Levi Murphy, drew walks as Bockway came around to score. Even after two consecutive punchouts by Trevon Donini, South Webster continued to strike as back-to-back walks by Gabe Ruth and Andrews, an RBI single by Jacob Ruth, and an infield error allowed the Jeeps to close within a 12-7 tally after six innings via the five free passes in the inning. Valley, however, squashed any thought of a comeback effort with a six-run effort in the top of the seventh. A two-RBI double from Ruby, an RBI triple from Cunningham, and an RBI double from Jared Morrow were the main efforts as the Indians closed the deal in the same way that they started it — at the plate. Now, both teams needed to simply get games in to grow their young units. 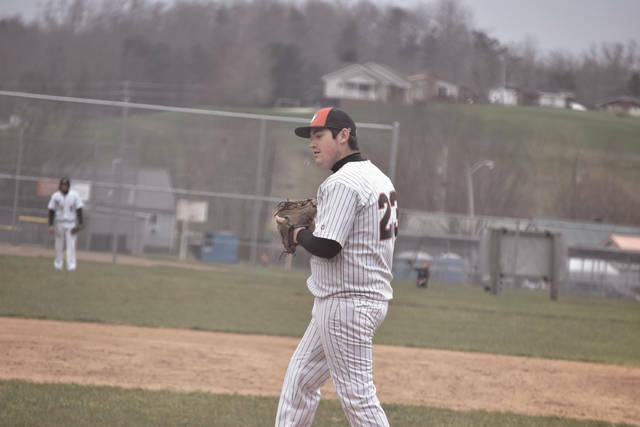 The Jeeps play Green on Tuesday in Franklin Furnace, while Valley will take on Clay the same day in Lucasville as both units will attempt to grow as they go.